I grew up in a small town on the north west coast of Tasmania called Penguin, so have a life-long love of these little creatures! 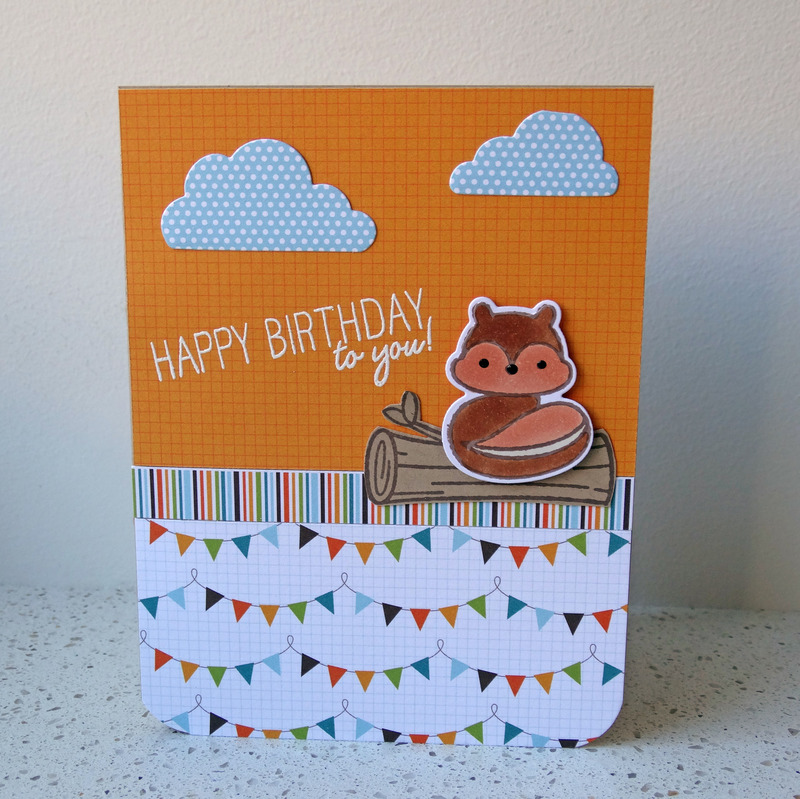 These Lawn Fawn ones are so much fun to colour and I used them here for another birthday card for my stash. I also used the Lawn Fawn A Birdie Told Me dies to cut a speech bubble from the Into the Woods paper pack and heat-embossed the sentiment. 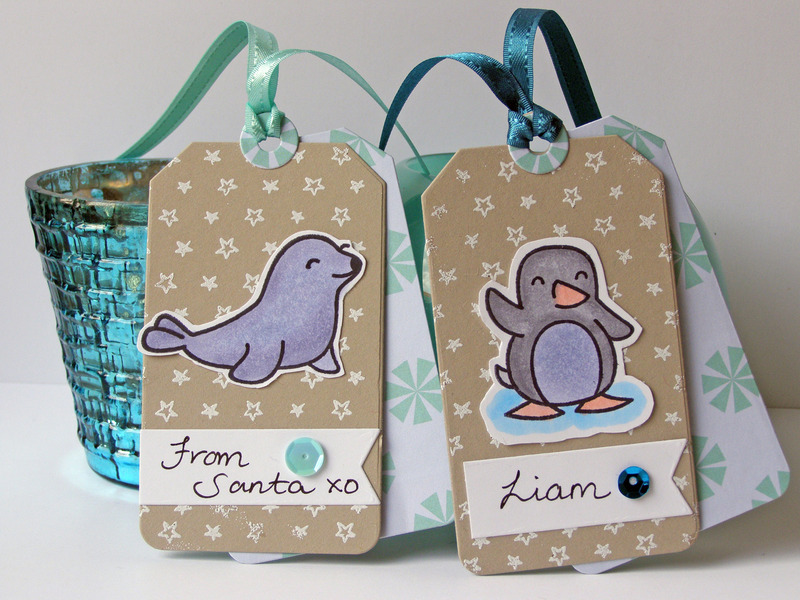 Love how the dies can be used with or without the coordinating stamps. 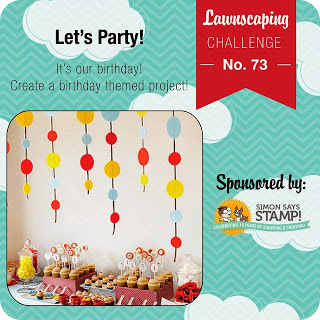 I’m entering this one into the Lawnscaping Birthday challenge. Other: Sequins, Ranger Enamel Accents, Hero Arts white embossing powder. 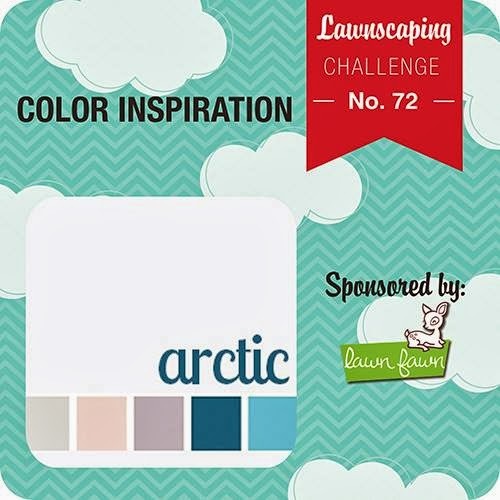 It’s another scorching hot summer day here in Canberra (Australia), so the idea of playing with some cool arctic colours is very appealing! 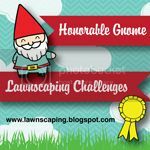 This week’s Lawnscaping Challenge has the following palette. Tonight’s job after the kids go to sleep is present wrapping, so I thought I’d take the opportunity to make some more gift tags. Lawn Fawn’s Tag You’re It set has become my go-to-set this week for all the little Christmas presents we’ve given out to teachers, school friends etc. 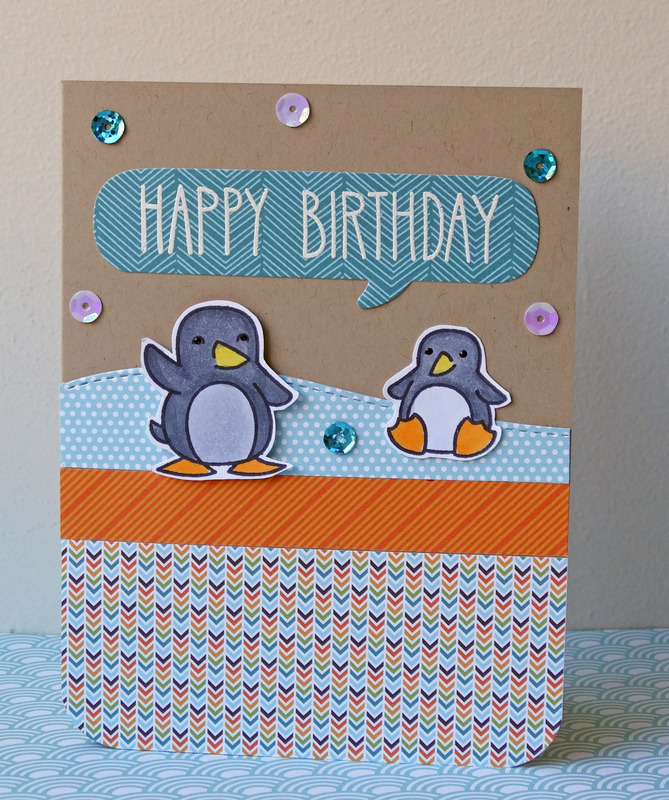 It’s so quick and easy to use and a great way to use up scrap pieces of card stock and patterned paper. Here I wanted to make a double-layer tag, with Stampin Up Sahara Sand card as the main layer, and some Lawn Fawn patterned paper at the back. On the front layers I stamped Lawn Fawn’s Teeny Tiny Backdrops star background in Versamark and then heat embossed it in white embossing powder. 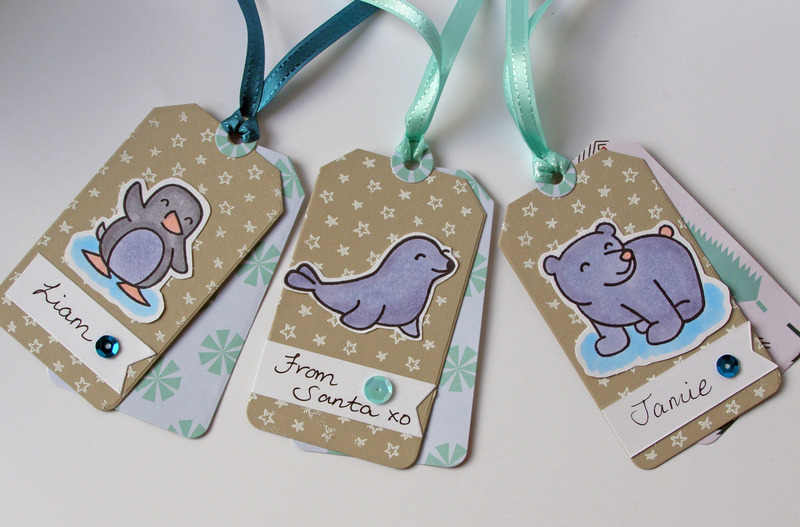 The stamp was wide enough that I could line all three tags up in a row and stamp them at the same time! The images are from Lawn Fawn’s Critters in the Snow and have been coloured with Copics. 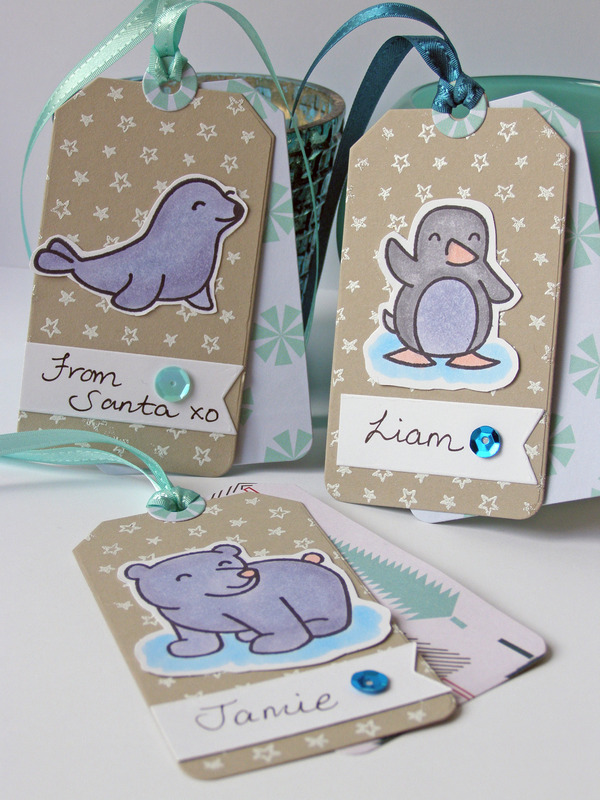 I did the seal first and cut it out, and then decided to give the penguin and polar bear their own little icebergs to stand on :). The little flag label is from the same Tag You’re It set, just trimmed down to size. Other: SU White embossing powder, Lawn Fawn Into the Woods sequins, SU ribbon, Zig black writer. 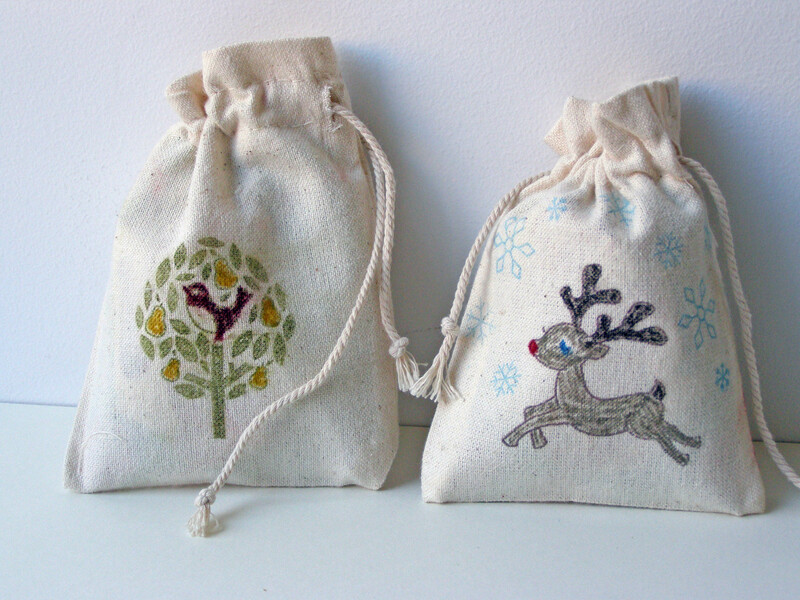 Here’s a couple more stamped muslin bags for Christmas gifts, this time using Lawn Fawn’s And a Partridge set and the adorable reindeer from Critters in the Snow. Muslin is not the most ideal surface to colour on, but I’m sure my kids won’t notice! Stamping the tree image and colouring the smaller pear shapes was easier. 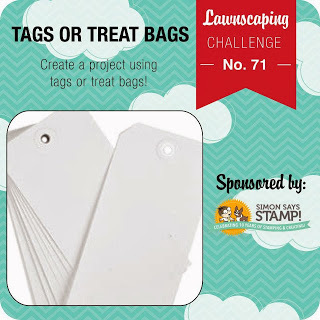 Anyway just a little project that I’m entering in the Lawnscaping Challenge #71 – Tags or Treat Bags.